Some Day I'll Be a Millionaire. Copyright, 18S8, by Frank Harding. Written And Composed by Dob Emmet. 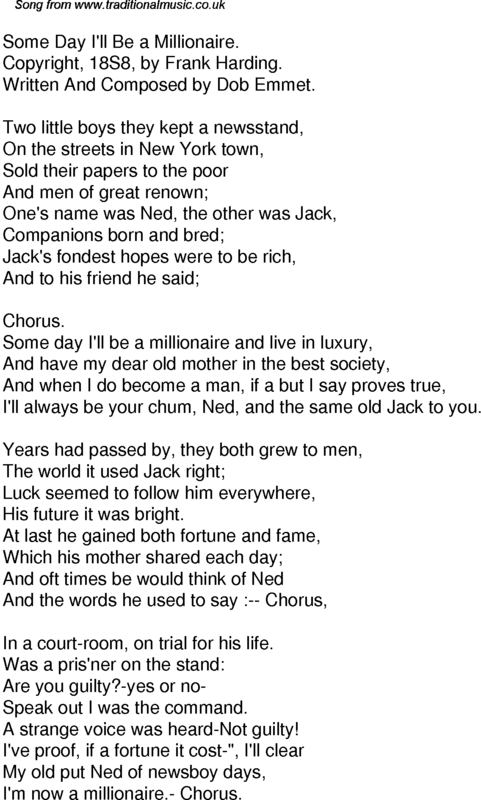 I'll always be your chum, Ned, and the same old Jack to you. His future it was bright. In a court-room, on trial for his life. Speak out I was the command. A strange voice was heard-Not guilty! I'm now a millionaire.- Chorus.